All Justin homes currently listed for sale in Justin as of 04/20/2019 are shown below. You can change the search criteria at any time by pressing the 'Change Search' button below. If you have any questions or you would like more information about any Justin homes for sale or other Justin real estate, please contact us and one of our knowledgeable Justin REALTORS® would be pleased to assist you. "Custom Built home that has it ALL!! 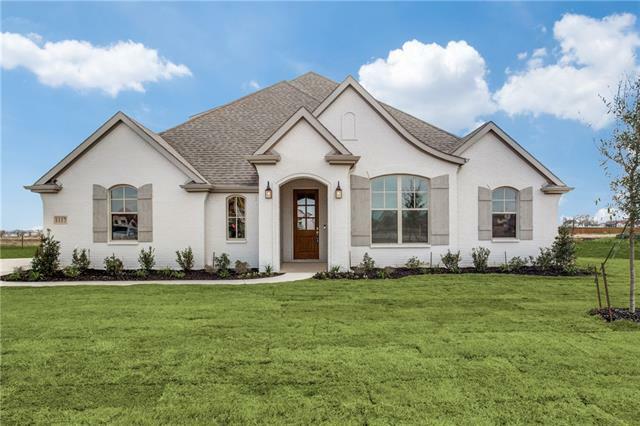 Builder finishes with some arched doorways and large room sizes make this comfortable home a show stopper. The open kitchen features custom cabinets and sleek granite counter-tops. Breakfast bar create an entertainers paradise. In the downstairs EXTRA LARGE master bedroom and a luxurious master bath. Downstairs also has 3 additional bedrooms. Upstairs are 3 bedrooms and a spectacular media room. 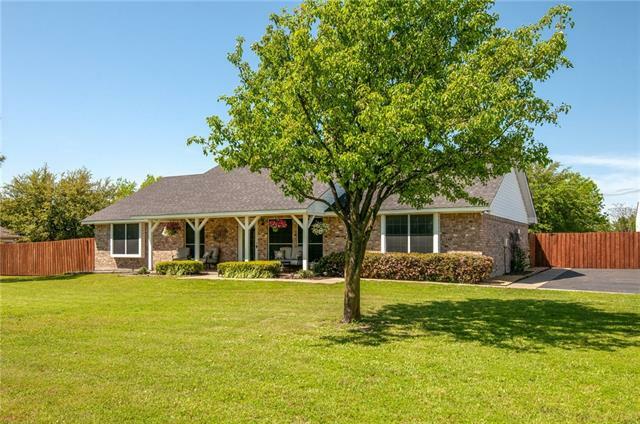 The yard outside is beautifully landscaped with a relaxing pati"
"This amazing property boasts over 12 beautiful acres with lots of oak trees and large green pastures ready for development. 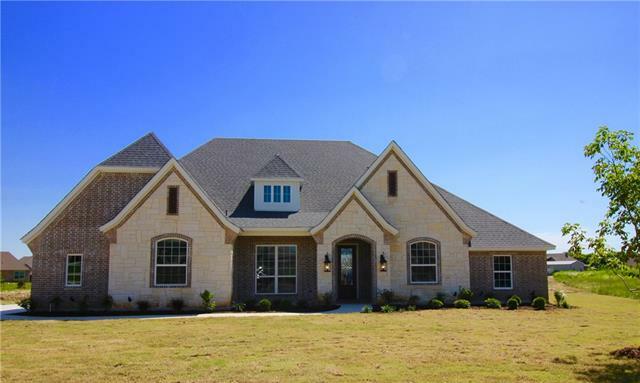 The gorgeous 2284 sqft stone house has 4 bedrooms, 2.5 baths, a stunning fireplace in one of the two large living areas. Hardwood floors and natural wide pine walls make this a house to see. Outside a large patio abuts the heated pool & hot tub. There is a 2400 sq ft metal shop with 20 ft head clearance and 20 X 20 doors on either end. 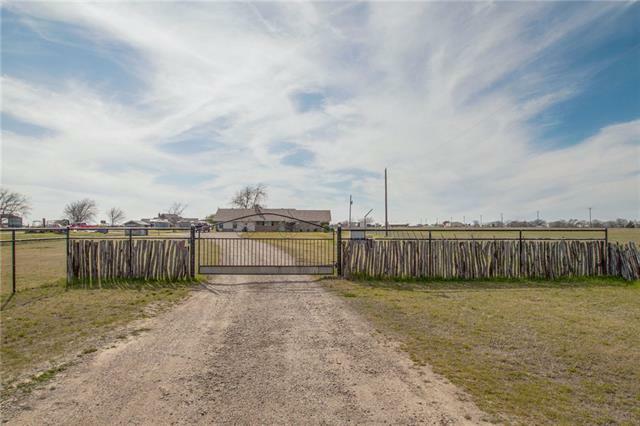 A 2 bedroom mobile home is located at "
"Total secluded horse property sitting on approx 14.9 acres. 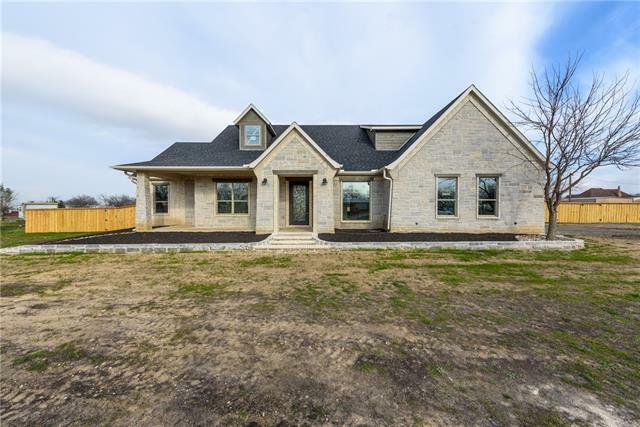 House was custom built in 2014 and includes hand scraped hardwoods, granite, wood beams, custom texture and paint, stone accents, upgraded appliances, 8 ft doors, Culligan water filter and softener, and numerous other upgrades. Study can be used as 4th bedroom with private full bath if desired. Property also has a separate 2 bedroom 1 bath guest home with full kitchen. Guest house is included in total sq. ft. Guest house was comple"
"Dreams do come true!! 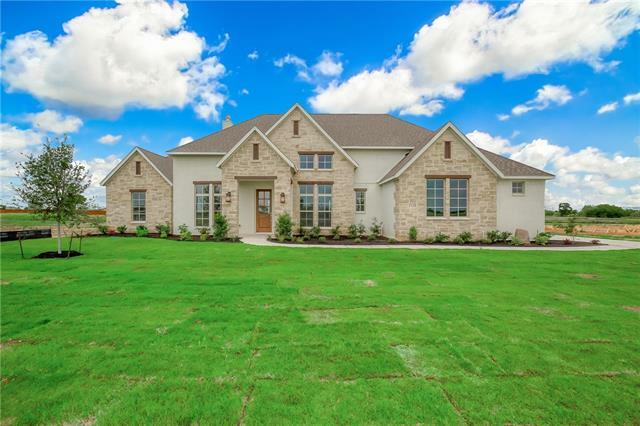 Stunning Bailee Custom homes has EVERYTHING you could ever want. Old World rustic touches through out. Every day living on first floor with split plan. Upstairs features a great room that can be used for media,game, or extra bedroom with full bath. Master Suite with walk in shower. Large laundry and mud room. 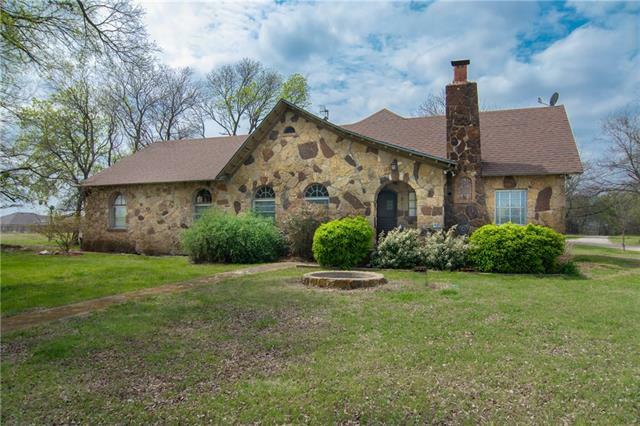 Home features: Plantation shutters, Wood Floors, Granite in Kitchen and all bathrooms, outdoor oasis with kitchen in 2019, rock bench, covered patio, sprinkler system,"
"Stunning custom home on 5 acres with Ag Exempt. Luxurious high-end finishes. Enter from front porch thru beautiful front door, to a fantastic layout, bright office with french doors & walk-in closet,lovely dining,family room with beamed ceilings open to Chef's kitchen-stainless appliances,granite counter tops,lots of storage,dbl ovens,large cooktop & stately vent hood,large breakfast bar & island, walk-in pantry. Master Suite with large spa-like bath & walk-in closet, downstairs 3 more large bed"
"Summer is almost here! Elegant, light and bright custom 1 acre ranch style home with a pool and outdoor grill. Enjoy over 3300 square feet of an open layout with a spacious chef's kitchen complete with double ovens, spice rack, large pantry, island and granite counter tops. Luxury master suite, large secondary bedrooms, private study and game room upstairs. Energy efficient, foam insulation, recirculating hot water heater, storage racks in garage, 16 SEER HVAC and Argon gas filled windows. " 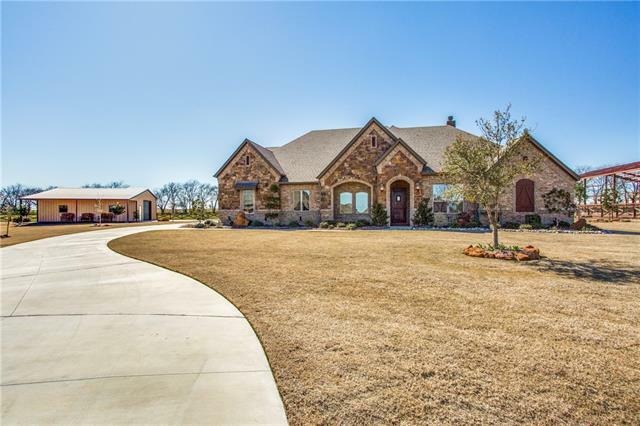 "Custom Royal Crest home on 1 acre in Avery Ranch subdivision. Gorgeous 4 bdrm 3 bath home with lots of upgrades. The living room has a beautiful stone fireplace, vaulted ceiling, wood beams and built-ins. Large master bedroom with spa-like bath including a claw foot bathtub and walk in closet. Gourmet kitchen has a Thermador gas cooktop with grill, Bosch double oven and a unique custom kitchen island made from the wood of an old boxcar, glass front cabinets, soapstone kitchen counters. Media ro"
"This house is being built on the very last lot in Avery Ranch. Located on a quiet culdesac. Scheduled for completion in March. Open concept plan. Beautiful wood beams. Media room located downstairs. True bonus room upstairs with a full bathroom." "Come on in and see why Avery Ranch is home. Country charm minutes from town. Situated on one acre, this corner lot on a cul-de-sac is perfect for entertaining and for family time. Hardwood floors leading to an open floor plan and huge kitchen, gas Bosch appliances, with an eat-in island and tons of windows for that award winning view of your property. PowerView blinds and plantation shutters are just a few of the upgrades you will notice. The 36X50 insulated shop has its own side entrance "
"Country living close to shopping & DFW airport. The entry opens to the dining & living rooms. The living room has a beautiful stone wood burning fireplace & vaulted ceiling. The kitchen has granite, island, 42 inch cabinets, walk-in pantry & breakfast bar that opens to the breakfast nook. Large master bedroom with spa-like bath, guest bedrooms are split from the master giving the privacy needed for all. The 32x21 upstairs attic area is partially finished which could be a 5th bedroom, game room, "
"MLS# 14070213 - Built by Brookson Builders - May completion! 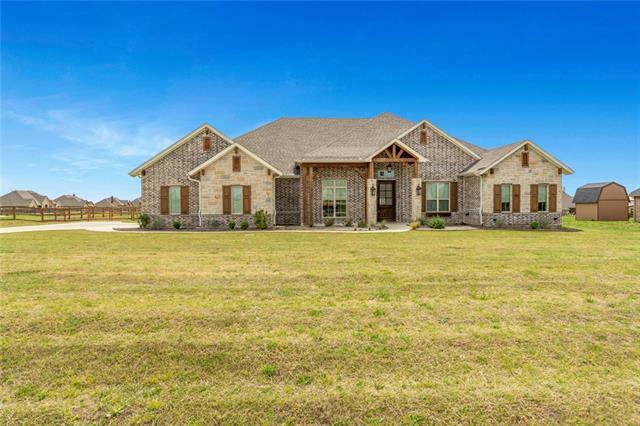 ~ Our most popular floor plan located in Justin, TX on a .59 Acre lot. This home features painted brick exterior, bronze windows, metal roof awnings, nail down hand scraped wood floors in entry, living room, and study, painted kitchen cabinets, upgraded bathroom flooring, framed mirrors in bathrooms, granite countertops in kitchen, bathrooms, and utility room, sink in utility room, upgraded lighting, stone fireplace, pop up ceiling tre"
"Absolutely stunning home located on over 1 acre of land! Ideal floor plan has a split bedroom design and open concept. The large kitchen offers a center island, custom cabinets, tons of counter and cabinet space and opens to the large living room complete w fireplace, crown moulding, and a wall of windows to enjoy your neighbor free backyard! The large master is split from the other rooms and offers a a separate jetted tub, shower, and dual vanities, as well as a large walk in closet. There is"
"2 story home on 5 acres with metal shop. Condition, room counts and all amenities listed are unknown and not verified. Information in MLS may be inaccurate. No access - occupied - no showings - do not trespass. See attachment for PAS requirements and WFHM offer submittal information in MLS document section. Buyers will be required to sign a occupied property addendum once a sale price has been agreed to and return with the executed contract, to ensure they are aware property is being sold as is"
"Exclusive showcase Home on a half acre -Turnkey Ready- Legacy Ranch offers modern conveniences with a down home country flare. Spacious kitchen, game-room & open concept floor plan is great for entertaining. Enjoy a quiet evening at home nestled by the fireplace or indulge yourself in the warmth & comfort of your master bath soaker tub. Lots of natural light and elegant hand scraped wood floors welcome you home. Decorative lighting, unique tiled fireplace, butler's pantry & custom built cabinet"
"Beautiful property with many options! Pool, two 30x40 shops with electric, one with climate controlled office space, large covered storage barn, lots of parking and much more. Property is used to run business out of it. Home has many updates and is perfect for family. Come see this rare find in the NWISD." "New home built by TMG Construction. Enjoy country living in the city! 4 bed, 3 and half bath with no HOA and spacious 1 acre lot. Stone front exterior, covered front and back porch. Hand scraped wood floors throughout, granite countertops, beautiful tile backsplash, open floor plan, new SS appliances and 3 car garage. Huge kitchen island and custom built cabinets. Two stone wood burning fire places. 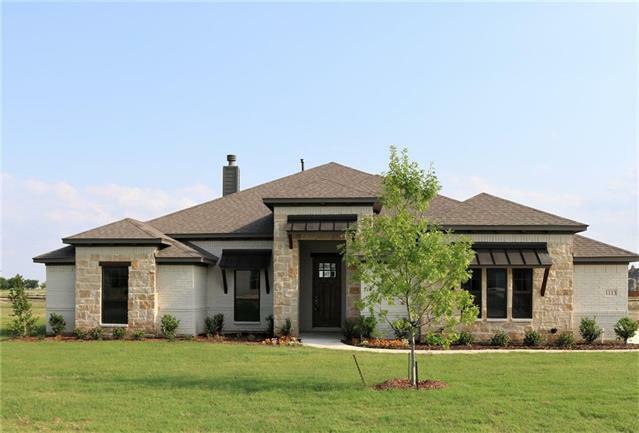 Gorgeous master bath with separate vanities, separate shower and tub, and spacious custom walk in"
"New Construction built by Dalton Homes! Estimated completion is March 2019. 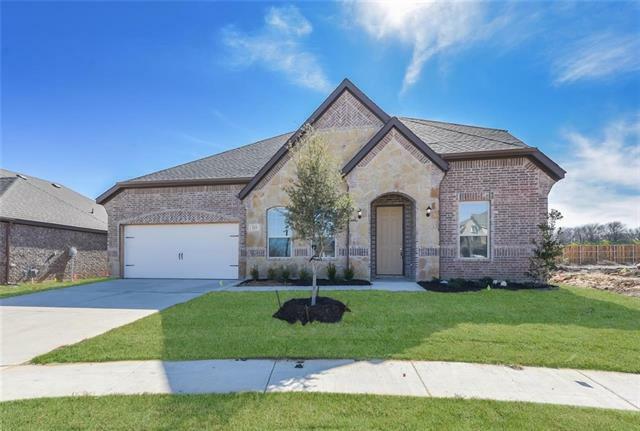 Open concept floor plan with vaulted ceilings, handscraped hardwood floors throughout the living areas, granite countertops and custom painted cabinets in kitchen, brick wood burning fireplace with gas starter, and much more. 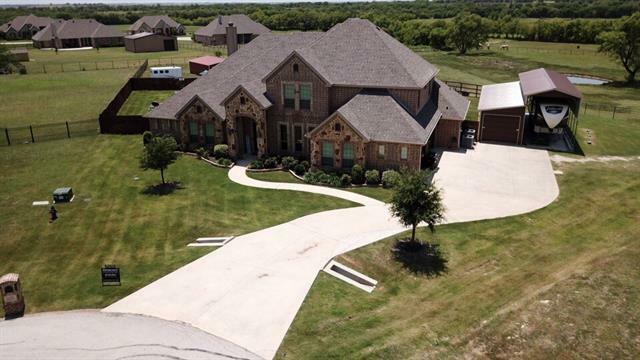 This home sits on a .50 acre lot in Justin, TX. 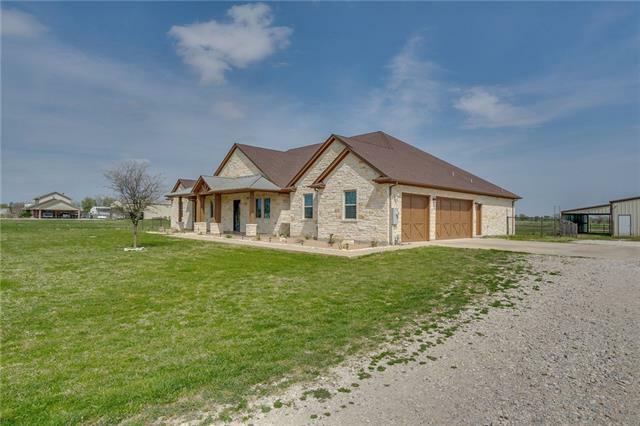 Legacy Ranch offers wide open spaces and a small town feel with easy access to I-35W." 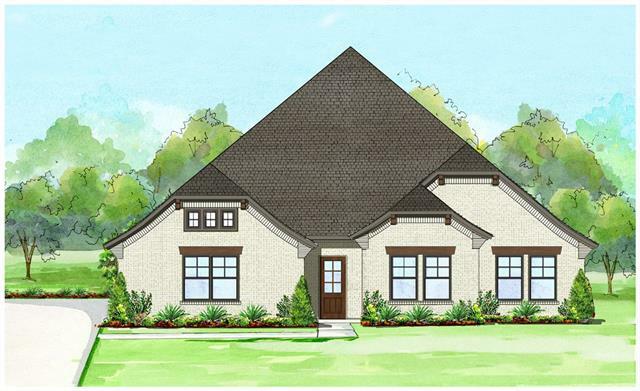 "MLS# 14070224 - Built by Brookson Builders - May completion! 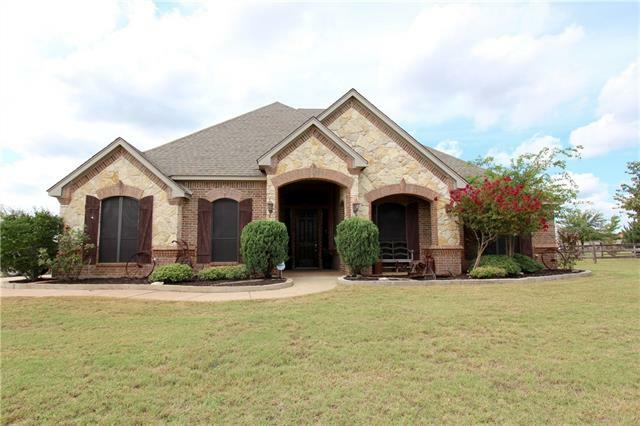 ~ This beautiful home features brick and stone elevation and is located on a premium corner lot. Wood wrapped beams decorate the entry and gallery leading into a wide open family room with a gorgeous full stone fireplace. Decorative tile backsplash and under cabinet lighting in the kitchen which is open to the family and dining rooms. The spacious master bedroom boasts a luxurious master bath with upgraded decorative tile and a framele"
"Wonderfully maintained log home, with exposed beams and some exposed log walls on the interior. Exterior has been bricked for ease of maintenance; the best of both worlds! Open concept. Two master suites, with two additional secondary bedrooms, or use one as a playroom, craft room or office. Both master suite are large, but one is huge, with room for a sitting area or an office of its own. Laundry room is enormous. 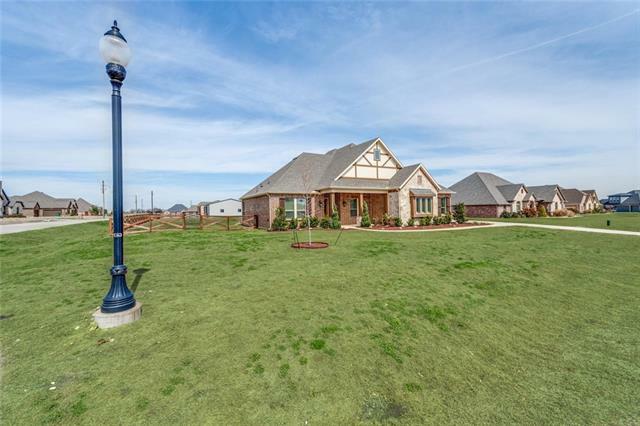 Located in esteemed Northwest ISD, and on 1.7 acres with approximately .6 acres o"
"New Construction built by Dalton Homes! Estimated completion is March 2019. 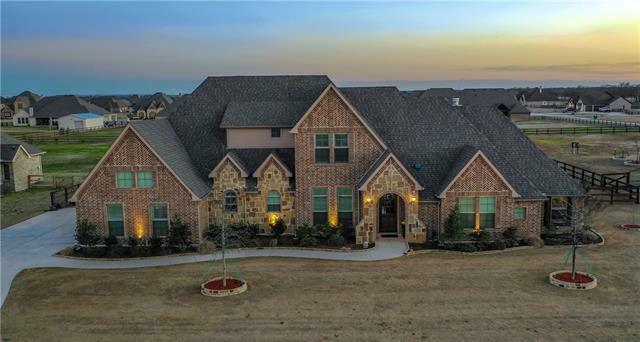 Open concept floor plan with vaulted ceilings, handscraped hardwood floors throughout the living areas, granite countertops and custom painted cabinets in kitchen, brick wood burning fireplace with gas starter, and much more. 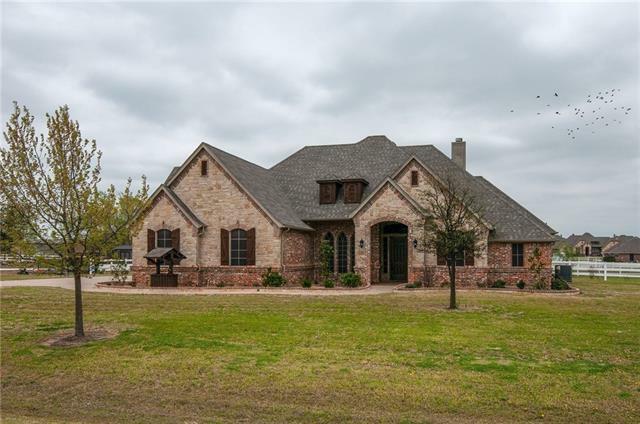 This home sits on a .70 acre lot in Justin, TX. 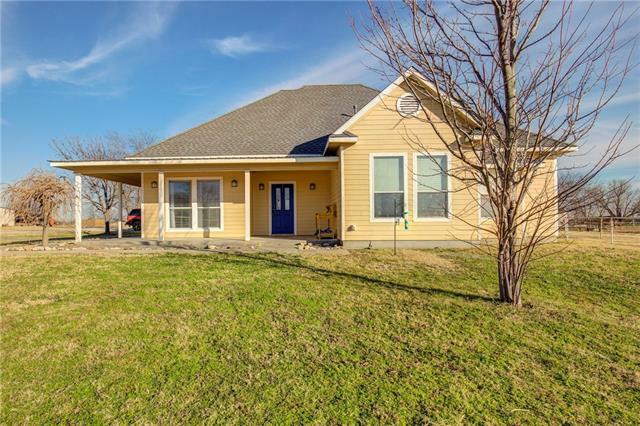 Legacy Ranch offers wide open spaces and a small town feel with easy access to I-35W." "Gorgeous country home on 3.88 acres with pool and workshop!! This beautiful ranch style home offers 3 bedrooms 2.5 baths and so many extras!! Stunning laminate wood like floors are located in the study and living room. The kitchen boasts ss appliances and plenty of cabinets and counter space. Outside you have your very own oasis that includes a sparkling pool with diving board, a lovely cabana and access to the half bath. A large 20 x 30 workshop with electricity offers extra storage or a p"
"Showcase Home by Clarity Homes READY THIS SUMMER- 10 year structural warranty & $5,000 towards closing costs included! Legacy Ranch offers modern conveniences with a down home country flare. Spacious Kitchen & open concept floor plan great for entertaining. 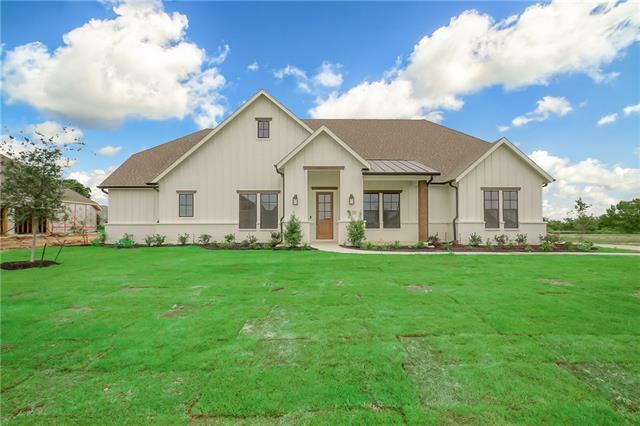 European exterior featuring hand scraped wood floors in entry, living, kitchen, nook, dining, butler's pantry & hall to bedrooms. Master Retreat soaker tub, decorative lighting, propane started wood burning fireplace with raised brick hearth"
"MLS# 13957852 - Built by Impression Homes - CONST. COMPLETED Feb 15 ~ Timberbrook is a New Master Planned Community! This 2 Story home with 5 Bedrooms, 4 bathrooms, Gameroom, Study and a Gas Fireplace on an oversized Private lot. 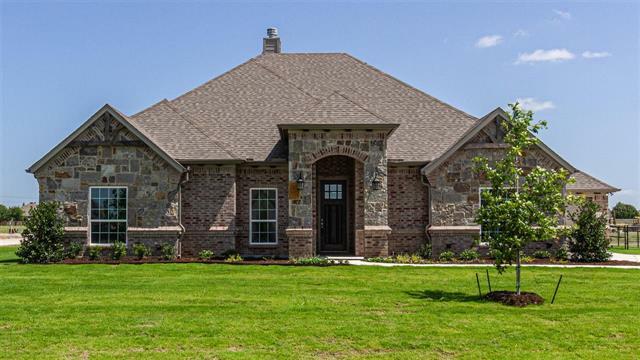 Full Brick and Stone Exterior with Oversized Covered Patio. Nailed-Down Hardwood Floors in Entry, Study, Family room, Kitchen, and Dining area. Separate Tile Shower and Garden Tub in the Master Bathroom. Granite Countertops with Tile Backsplash. Full Sprinkler system, F"